The All New 2018 Horizon Adventure 5 treadmill is loaded with features that make your workouts more interesting, engaging and effective to keep you moving toward your goals. The sturdy frame, extra-long deck and responsive motor deliver the performance you need when you’re ready for higher speeds and steeper inclines. 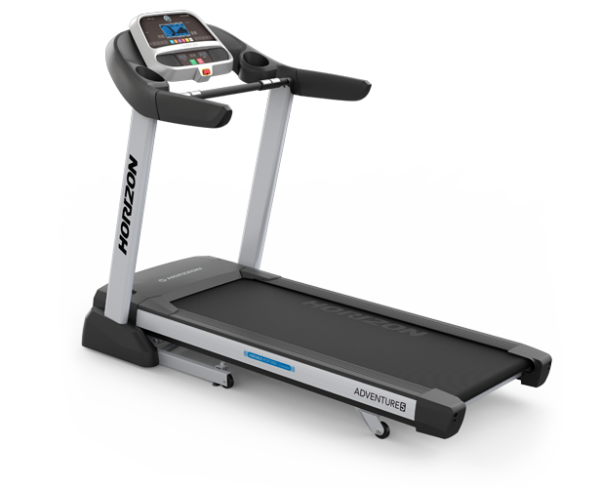 The All New 2018 Horizon Adventure 5 Treadmill is designed for runners, it has a 140cm x 51cm running surface and a 2.5 CHP drive. Its highlights include 35 built-in programs, ViaFit Connect to track your fitness progress, and Passport video workouts. Passport works with your home television. 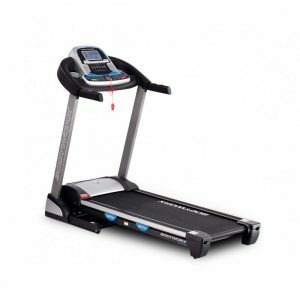 The Adventure 5 Treadmill also has advanced cushioning and a maximum 12% incline. ViaFit Connect: ViaFit Connect technology can connect your treadmill to the Internet if you have wireless Internet within range. The main benefit of ViaFit Connect is the automatic tracking of your fitness data. you can also use this treadmill with other fitness apps that chart distance, calorie burn and other workout data. Passport: Passport connects the Adventure series treadmills to customers’ own televisions via wifi. High-definition Passport video simulates beautiful outdoor exercise experiences by adjusting to the speed and intensity of your walk or run. Some examples of the video destinations are the French Riviera, Venetian canals, and the Canadian Rocky Mountains. Track Length: The track length of 140cm ideal for most runners, allowing for full strides at high speed. The width is the standard 51cm. 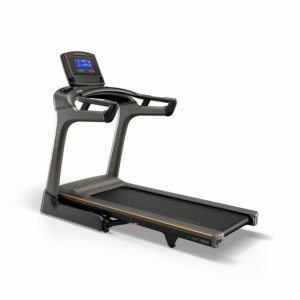 Variable Response Cushioning: Variable Response Cushioning on the Horizon Adventure 5 Treadmill has three firmness zones (front, middle and back). The front has a well-cushioned landing zone and the back is firmest for push-off. 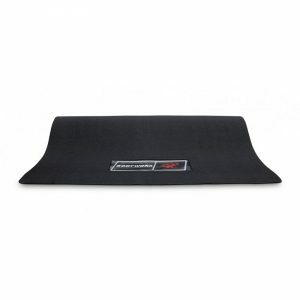 This special cushioning helps reduce the chance of knee injuries and can also boost your performance. 35 Programs: Choose from manual mode or 32 preset workouts: 9 for calorie burn, 10 for distance, 10 “step” programs, and three interval training workouts. You can also design and save two personalized programs. Display: The Adventure 5 Treadmill displays data on a 5.75” screen with soft blue lighting. The workout data shown include time, distance, incline, speed, calories burned, pulse, and laps. A racetrack graphic helps visualize your progress. Console Extras: Adventure Series Treadmills have reading racks and cup holders. High Speed: The treadmill’s top speed is 20kh. Audio: Enjoy your music during workouts! The Horizon Adventure 5 has a USB port for MP3 players. Speakers measuring about 3″ x 5″ are built into the console. 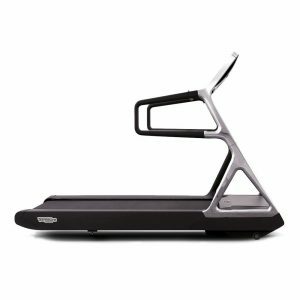 Incline: Walk uphill on your treadmill! The Horizon Adventure 5 treadmill track can incline up to 12%, helping you boost your metabolism and get extra muscle tone. The tilt can be adjusted manually or controlled with preset programs. 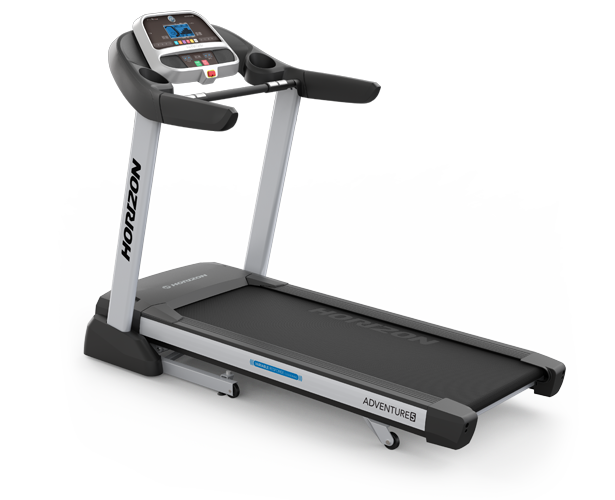 Motor: This unit has a 2.5 CHP motor that provides more power than 2.5 HP motors on other treadmills. This motor also has a lifetime warranty and is super quiet. Folding: The Horizon Adventure 5 Treadmill can easily be folded to save floor space. Energy Saving: If the treadmill becomes idle for 15 minutes, the console will switch off to save energy.